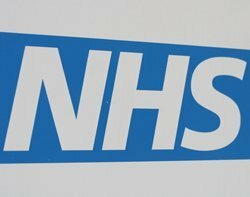 The NHS has shortlisted two suppliers for the delivery of its email system with BT and Accenture still in the mix. There were five bidders for the NHSmail contract. This is a secure email service and is the only NHS email system accredited to "Government Official Sensitive" status approved by the Department of Health. A spokesperson for the Health and Social Care Information Centre (HSCIC) said evaluation of bids is complete.” All shortlisted suppliers from the Crown Commercial Service’s Managed Email Framework provided strong bids, with two suppliers leading. “To ensure the correct service is provided, BT and Accenture have been invited to participate in an extended clarification period. The other suppliers have been notified that they were unsuccessful. The successful bid is expect to be announced in February 2015. The current contract with Cable and Wireless, which saw the implementation of Microsoft Exchange 2007, was due to expire last July. The government procurement framework includes: Secure eMail; Secure eMail Gateway; Mobile Device Management; White Pages and Directory Service; Business Partner Secure eMail and eMail router. The NHS hopes most of its organisations will join the new mail service, but individual trusts will be able to choose whether to join or not. Forcing NHS trusts to implement predetermined IT was one of the unpopular facets of the failed NHS National Project for IT. NHS email needs to be highly secure and reliable as it transmits large sensitive files such as medical records information and X-rays. Originally, the NHS was looking for multiple suppliers. In 2012, the NHS Commissioning Board wanted to use multiple secure email providers via the government’s G-Cloud framework.